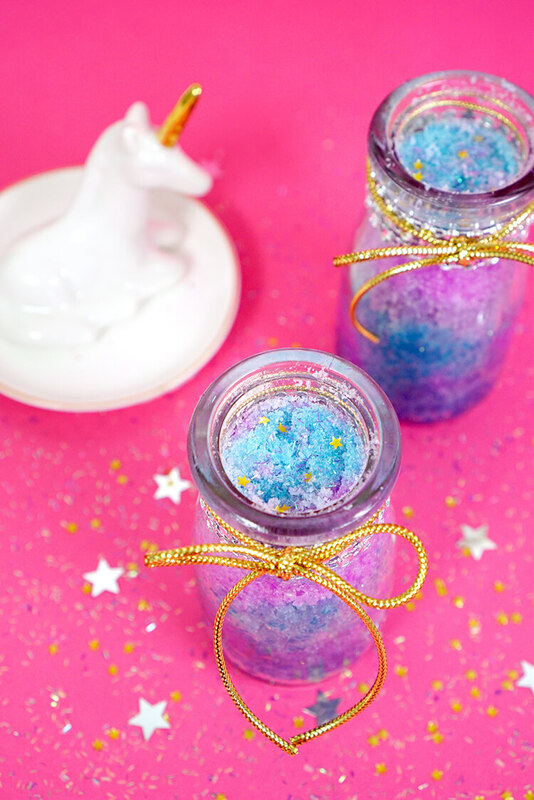 Whip up a batch of DIY Unicorn Sugar Scrub in under 10 minutes with this quick and easy sugar scrub recipe! An awesome DIY homemade gift idea for friends, family, teachers, and more! 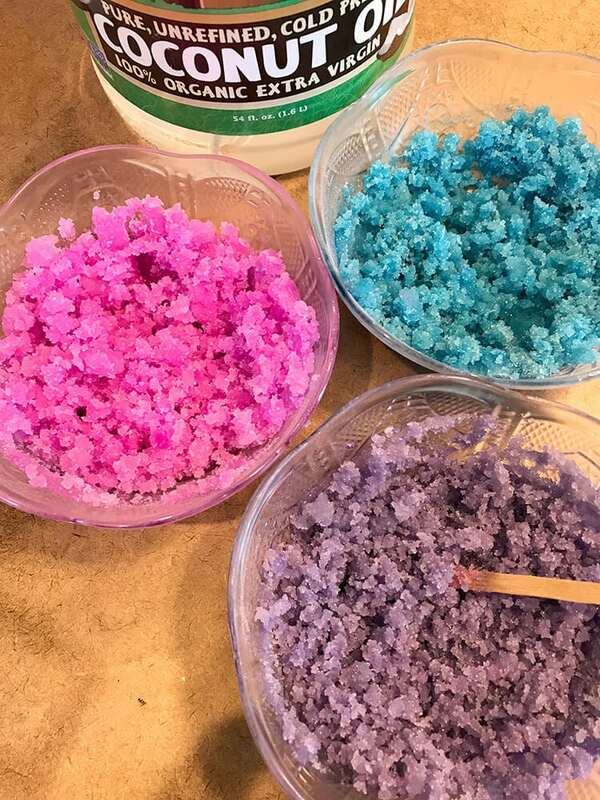 I love making my own homemade soaps, sugar scrubs, and body products, and this week I whipped up a batch of DIY sugar scrub that’s second to none – Unicorn Shimmer Scrub! It’s loaded with sparkle and shine, and it leaves your skin feeling silky smooth and smelling delicious! 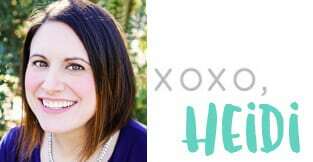 NOTE: The amount of each ingredient necessary will depend on how much sugar scrub you would like to make. For an 8 oz. batch of sugar scrub, use 1 cup of sugar and 1/2 cup of coconut oil. Divide sugar into 3-4 bowls and add approx. 1/8 tsp. 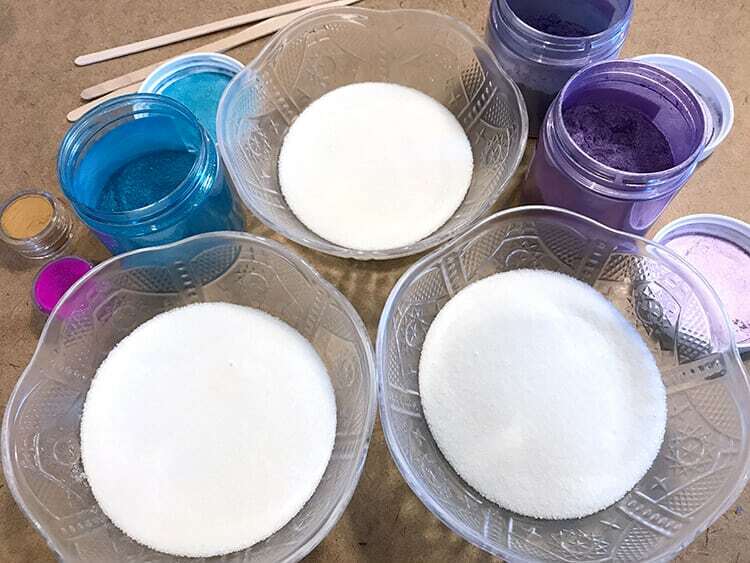 of mica colorant to each bowl. Stir until well mixed and blended. Note: the color will be lighter during this step than the final result! You want a light pastel color at this point, so do not over color! 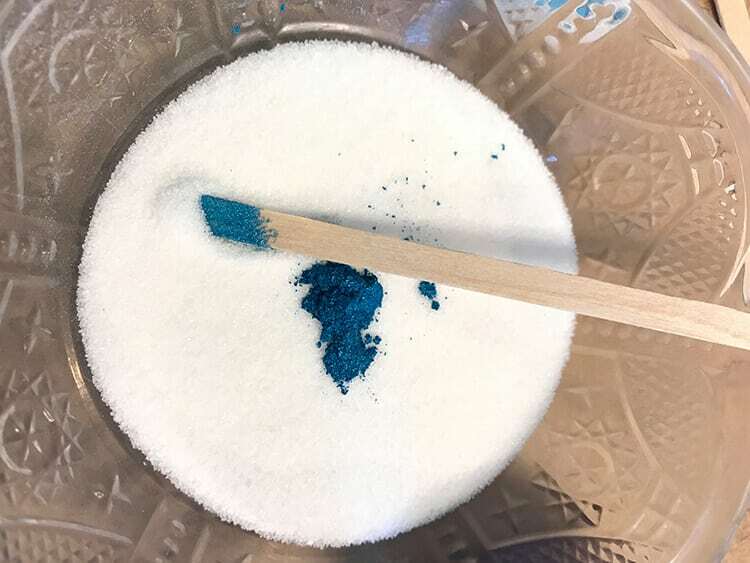 If you wish to add cosmetic-grade glitter or shimmer powder to the scrub, mix it in at this point. A little goes a long way! 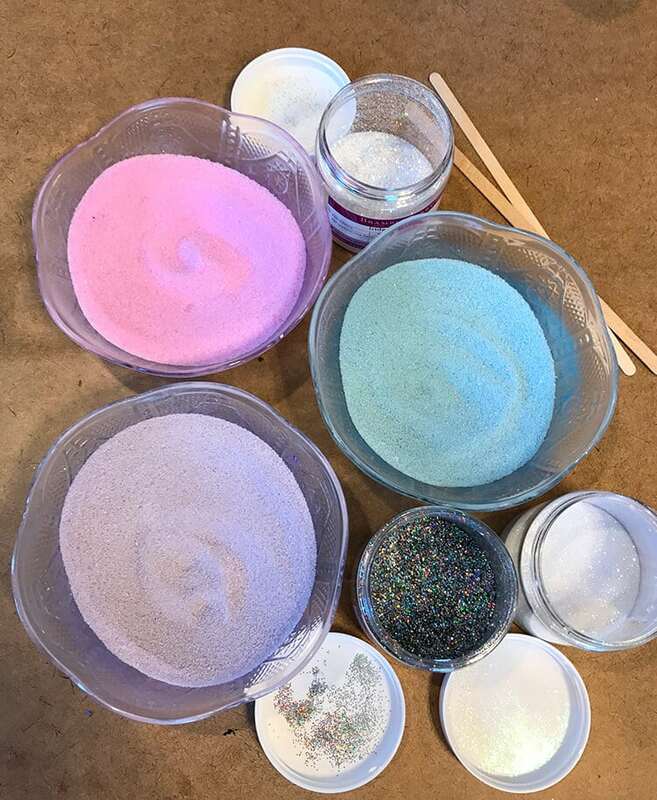 I used a mix of four different iridescent and rainbow cosmetic-grade glitters in my scrub, totaling approximately 1/8 tsp. of glitter in each different color of sugar. Add melted coconut oil to the sugar in an approximate 2:1 sugar to oil ratio. If you prefer a more liquid consistency for your scrub, add more coconut oil a little bit at a time until the desired consistency is reached. Add fragrance oil (approx. 5-10 drops) and mix well. 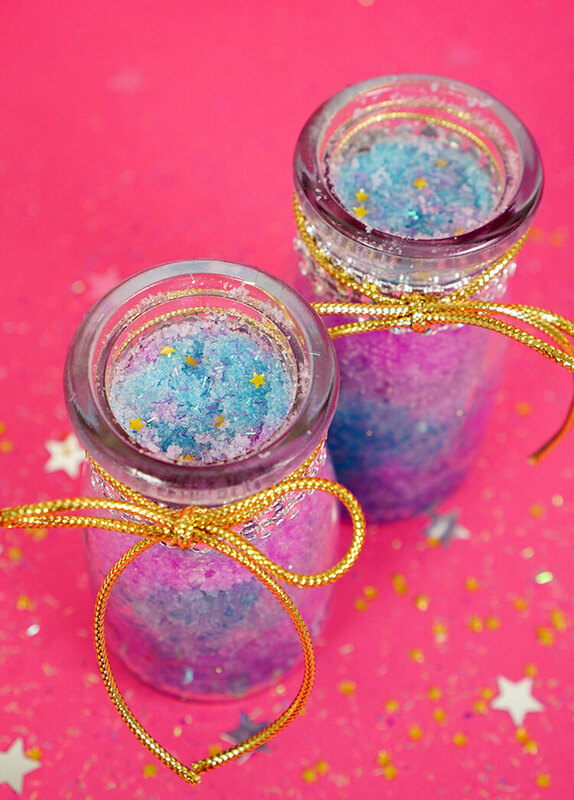 Layer the different colors of scrub into your jar or storage container and finish with another sprinkle of glitter and a few decorative gold star sprinkles on top – SO fun and cute! This is, without a doubt, the prettiest sugar scrub recipe I’ve ever made! It’s so sparkly and girly! 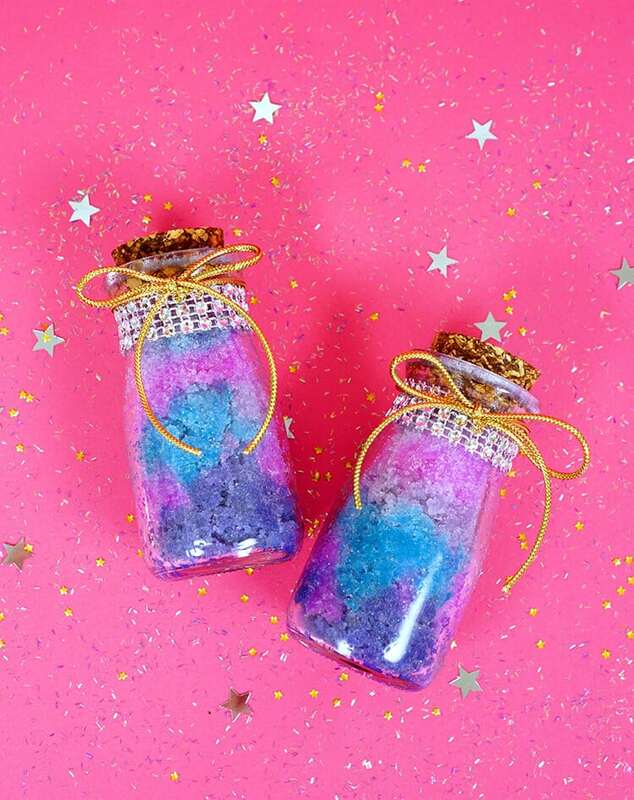 This sparkly unicorn sugar scrub would make a great (and inexpensive!) DIY homemade gift idea for friends, family, neighbors, teachers, and more! Perfect for birthdays, Christmas, teacher appreciation, and any occasion that requires something extra special! 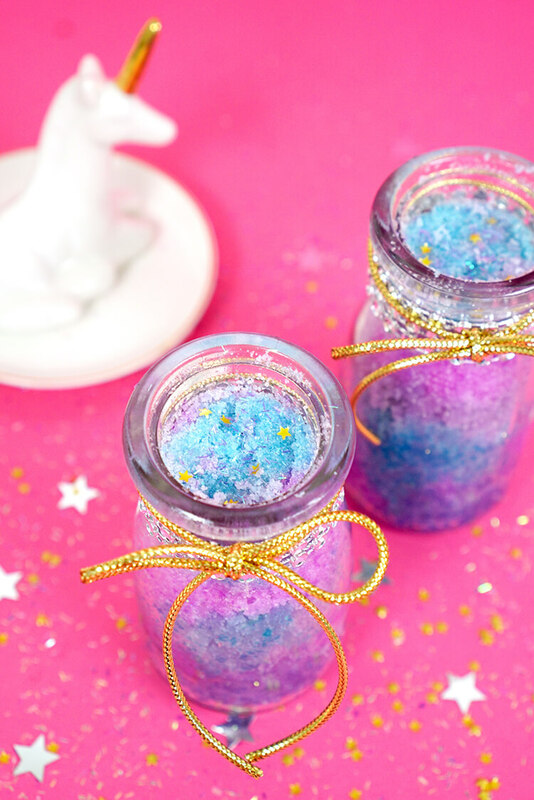 Note: scrubs made with cosmetic-grade glitter will leave a light glittery shimmer on the skin after use. 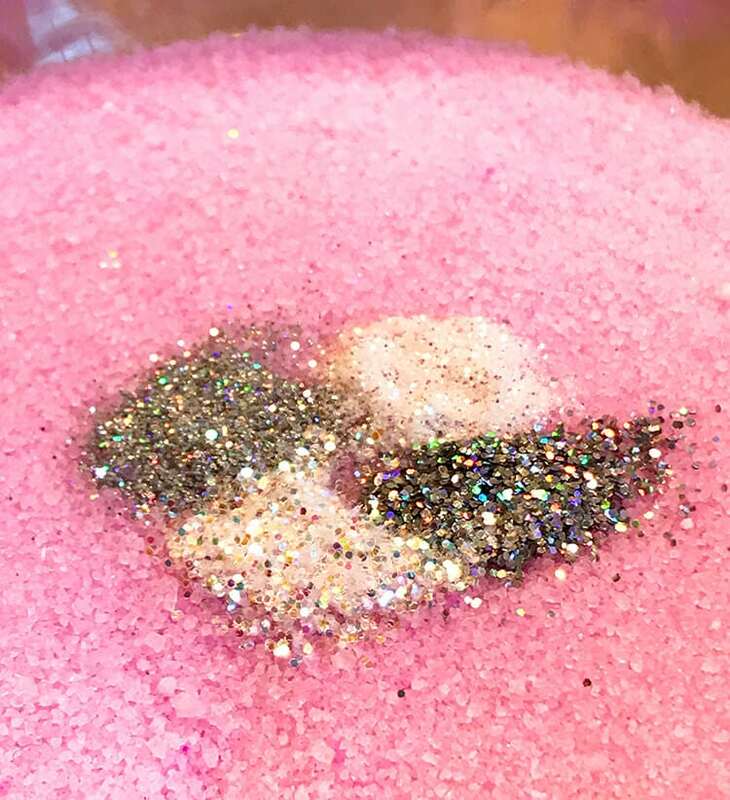 If you do not wish for the glitter to remain on your skin, follow the scrub with soap to easily wash away all traces of the glitter. If You Like This DIY Sugar Scrub, Don’t Forget to Pin It! You May Also Like Our Other Soaps, Scrubs, and Body Products!